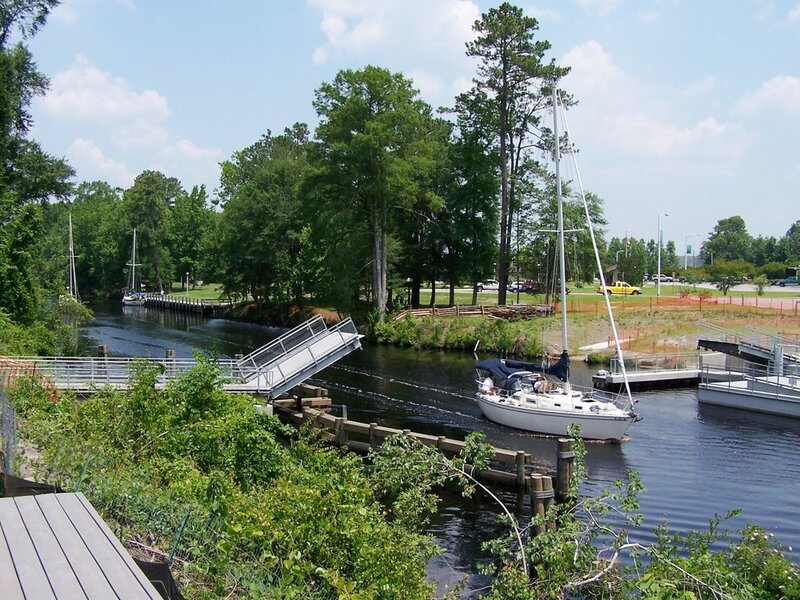 Alpha & Omega Group provided civil and structural engineering services for the North Carolina Department of Natural Resources State Parks to build a floating swing-span bridge across the Dismal Swamp Canal, which extends from Deep Creek, Virginia, to South Mills, NC. The Dismal Swamp Canal is on the National Historical Record. The structure is an 85-foot floating swing-span with two 15-foot bascule spans and a 36-foot two-span continuous fixed approach bridge. 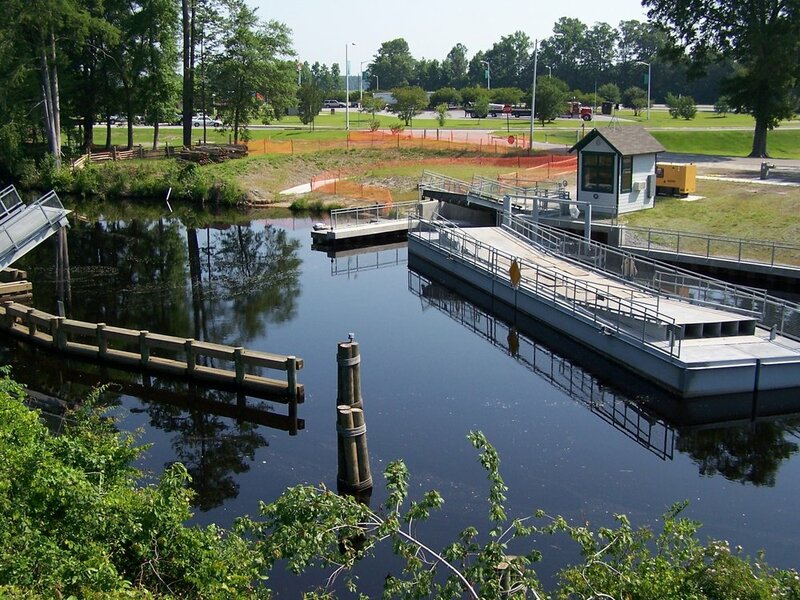 Engineered to allow access to the west side of the canal, it provides pedestrian and vehicular access to the Dismal Swamp Visitor Center. Its unique design provides safe passage for pedestrians, park maintenance vehicles and emergency vehicles. The floating swing span gives priority passage to marine vessels transiting the canal. A&O also provided civil engineering services for the Dismal Swamp Visitor Center, located on the west side of the Dismal Swamp Canal.